The Finsbury Low Coffee Table by Modloft is a true testament to modern design. Its triangular shaped top is finished in an elegant matte lacquer while its base is finished in a glamorous brass color. 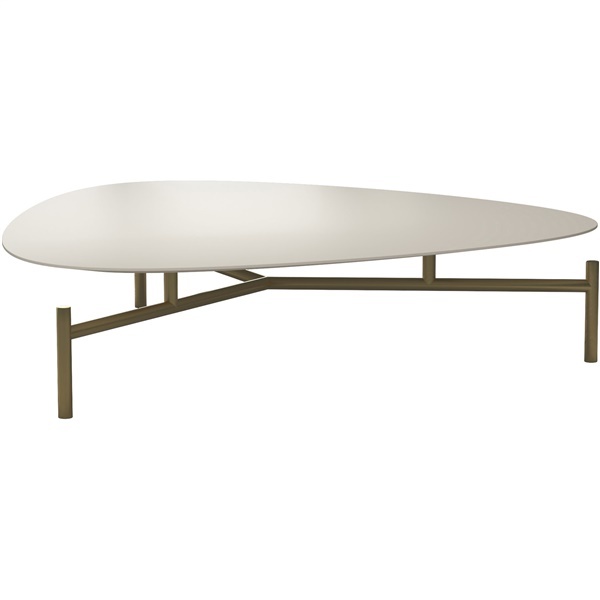 Pair it with the Finsbury High Coffee Table for an ultra modern nested look.